Filmcafé Onderbelicht will be screening a documentary about the life situation of Roma in Germany and their deportation to Balkan countries where they have never been before. The film also gives an impression of the racism and discrimination that Roma are facing across Europe. 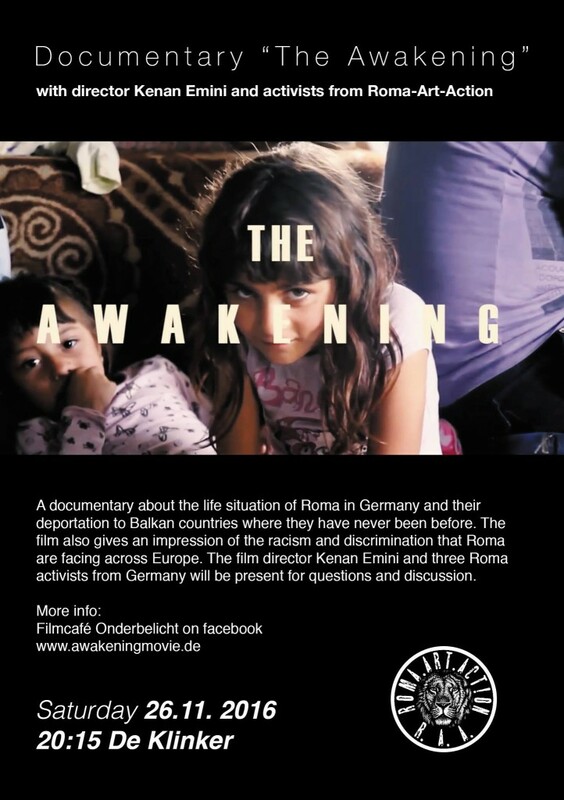 The film director Kenan Emini and Roma activists from Germany will be present for questions and discussion. All money will support further Roma film projects and activism. 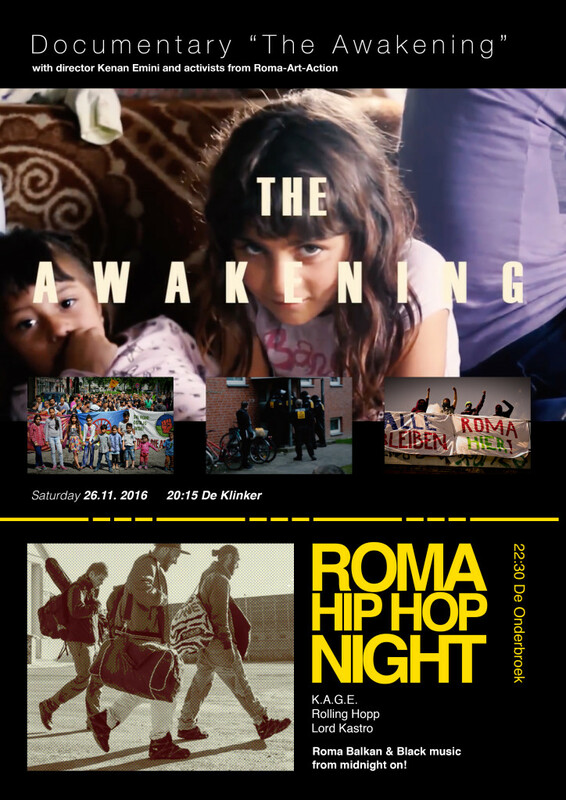 followed by a concert night in De Onderbroek / 22:30 ROMA HIP HOP NIGHT K.A.G.E. – Rolling Hopp – Lord Kastro Roma Balkan and Black music from midnight on! Copyright © 2016 Awakening Movie Projekt. All Rights Reserved.